Symbolise your love with this breathtaking eternity band, crafted in traditionally elegant half a carat. A beautiful piece for your someone special, designed to be cherished for a lifetime. 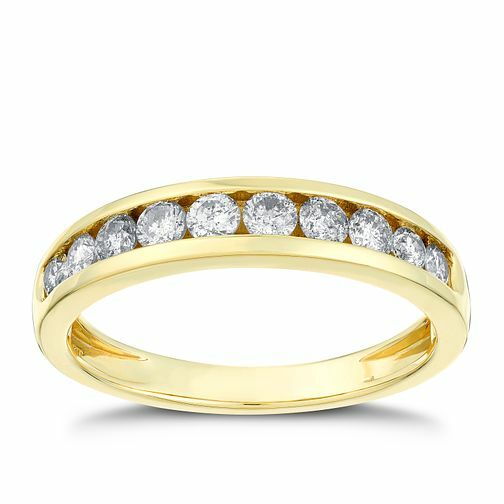 18ct Gold 1/2ct Diamond Eternity Ring is rated 5.0 out of 5 by 3. Rated 5 out of 5 by Anonymous from Fantastic quality - far better in every way than equivalent items at competitors The ring was purchased by my husband as an late anniversary present. We looked about as we knew what we wanted to buy - this was the best package based on quality, price and and choice.